The gendarmerie in Djibo, capital of Burkina Faso’s northern Soum province which borders Mali was heavily damaged in an assault on Thursday, October 18, according to reports, the latest in a string of attacks in the north in recent days. The attack began at around 10 p.m. with shooting reported in several areas of Djibo, Infowakat reported. According to Infowakat, a number of prisoners were released, and the gendarmerie suffered major damage. Several sources indicated that a gendarme was wounded in a separate attack on a surveillance post, Infowakat reported. 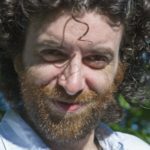 Menastream, a Middle East and North Africa research and risk consultancy, described the attack as a “major assault” and that reinforcements were sent to the area. Around 55 prisoners were freed from the gendarmerie and two vehicles were burned before the assailants withdrew towards Tongomayel. One gendarme was severely injured, according to reports. Images purportedly of the aftermath of the attack show burned vehicles, and the interior of the gendarmerie ransacked and burned. The images also show ammunition used in the attack, including an RPG rocket. Security forces have detained hundreds of people in connection with attacks in recent months. The attack comes as France’s Minister for Europe and Foreign Affairs Jean-Yves Le Drian was in the capital Ouagadougou for a two-day visit. He was due to meet Kaboré to discuss counterterrorism and development cooperation. He was also due to meet representatives of the French community, and to review security measures. The country’s north and east regions are slated to receive €125 million from France for development projects in 2019. The reported attack on Thursday also comes a day after a police checkpoint 2 km (1.5 miles) from Djibo on the road to Tongomayel was attacked by “unidentified individuals,” the Ministry of Security said in a Facebook post, adding that reinforcements were sent from Djibo and only slight injuries were recorded among members of the Defense and Security Forces. The assailants were on a motorbike and attacked the National Police checkpoint at 7:30 a.m., Infowakat reported. Also on Wednesday, the gendarmerie in Barani in Kossi province was attacked by “malicious individuals,” the Ministry of Security said in a Facebook post. 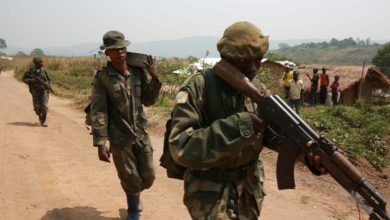 One gendarme was killed and two others wounded, but in the firefight, the Defense and Security Forces killed one attacker and the remaining assailants fled into the forest. One source told AIB that the attackers fired shots in the air around 30 minutes before the attack in an attempt to scare off the gendarmes. This failed and the attack began at around 10:30 p.m. and lasted more than an hour. A second wave began around 6 a.m, on Thursday. Barani is around 40 km (25 miles) from Nouna, the capital of Kossi province, which borders Mali, and Infowakat reported local sources as saying that assailants from Mali led the attack, and afterwards they returned to Mali, taking equipment including phones. 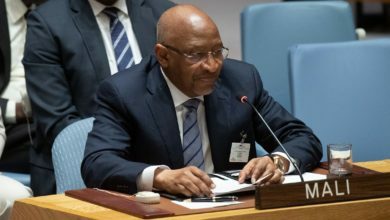 The High Commissioner of the Kossi Province Alfred Ouaré said the attackers “wanted to take away the corpse of their comrade but under the pressure of our police, they finally abandoned it to some 200 meters from the post,” Burkina24 reported. Ouaré said the attack was launched from the village of Koubé, on the border with Mali. According to Burkina24, around 24 heavily armed militants were involved. 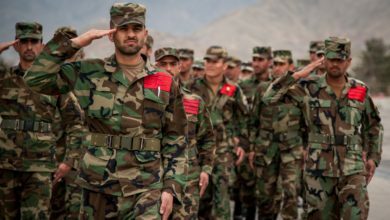 Locals highlighted a disconnect with the Defense and Security Forces, saying that they do not engage with citizens. On October 5, at least six police officers were killed and five injured in an ambush in the northern Burkina Faso town of Solle near the border with Mali, one of an increasing number of attacks in the north in recent weeks. On October 3, two French Mirage 2000 fighter aircraft struck a convoy of ‘terrorists’ on motorcycles near the Inata gold mine in Soum province after a gendarme was killed and another injured in an attack on a security post. The aircraft were attached to France’s Operation Barkhane, which has around 4,500 French personnel deployed in the Sahel. That mission began in Mali, but now has a mandate for counter-terror operations across the Sahel region, encompassing Burkina Faso, Chad, Mali, Mauritania and Niger. 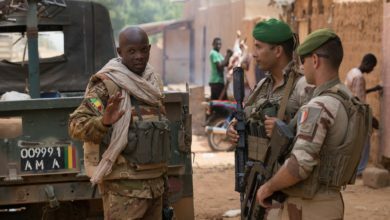 They work alongside the G5 Sahel joint counter-terrorism force, as well as peacekeepers deployed to the United Nations Minusma stabilization mission in Mali. 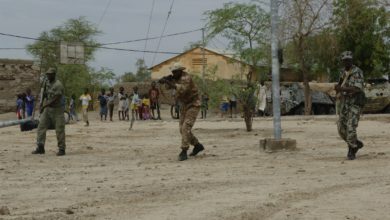 The air operation was followed four days later, when, on October 7, the French armed forces conducted an air operation near Pama in eastern Burkina Faso involving Gazelle and Tigre helicopters after a Burkina Faso soldier was killed and another injured after a military vehicle was hit by a roadside bomb near Kabonga. 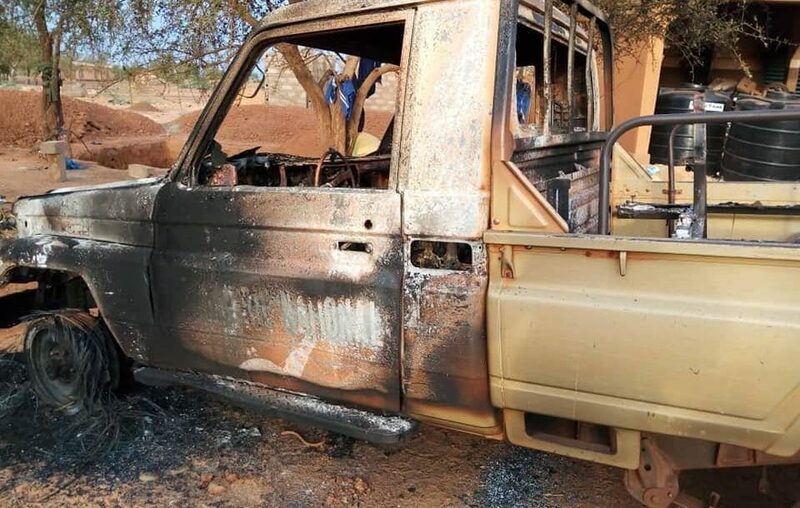 Burkina Faso’s East region has been hit with an upsurge in violence, with improvised explosive device attacks on vehicles becoming increasingly frequent. 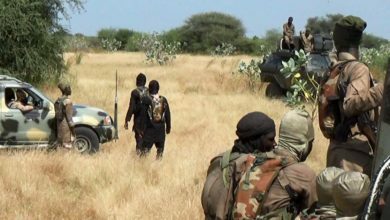 The surge in attacks in the East is said to be the result of pressure on jihadist insurgents in Mali and Niger.